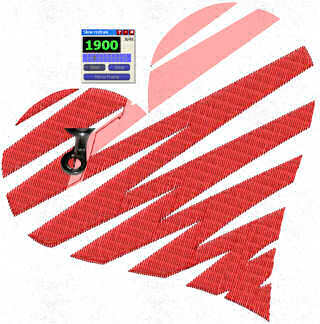 Wings' XP Pilot embroidery software easily creates embroidery designs with Running, Satin, Zig-Zag, Step, Satin Serial, Zig-Zag Serial and Piping stitch types. You can also adjust the parameters of each stitch type to meet your embroidery preferences. Wings' XP Pilot is the first level offering the ability to create your own pre-digitized fonts from True Type® Fonts and edit these to suit your needs. You can also edit the 256 pre-digitized fonts that are included with this level. Pilot can import 12 different graphic file types, including gif, tif, bmp, jpg, and psd.